A number of projects are being implemented in Uzbekistan to further develop the wine industry, create new, popular and promising grape varieties that are in high demand in the global market, Uzbek media reported. Uzsharobsanoat together with the Uzbek State Research and Design Institute for Land Management conducted an inventory of the areas allocated for vineyards. Results revealed that, presently, vineyards occupy only 73,300 hectares of the country, of which 11,500 hectares are industrial plantations. Presently, several promising varieties are grown on these vineyards. In 2018–2023, Uzsharobsanoat plans to expand the territory of its vineyards from 4,300 hectares to 20,000, which will create 3,200 new jobs. Another important point is that advertising of wine products is prohibited in Uzbekistan, but perhaps this ban will be lifted. The Uzbek president talked about this at a special meeting devoted to the development of the wine industry in March 2018. 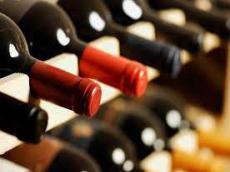 The head of state then ordered to review the restrictions on advertising of wine products. "As far as I know, from January 1, ban on advertising of wine products will be lifted. Now this issue is discussed at the management level," the press secretary of Uzsharobsanoat Makhbuba Khalilova said.